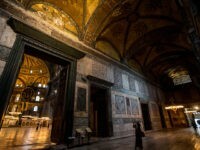 Turkish President Recep Tayyip Erdogan proposed converting the fabled Hagia Sophia into a mosque on Sunday. 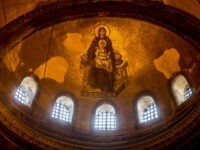 The Greek government responded with anger on Monday, pointing out that the Hagia Sophia was the seat of Greek Orthodox Christianity for centuries and has been designated a World Heritage Site by the United Nations. 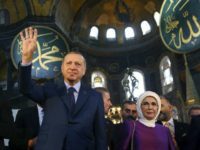 Turkish President Recep Tayyip Erdoğan floated the idea of turning Istanbul’s iconic Hagia Sophia back into a mosque in an interview Sunday. 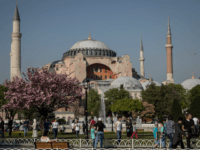 ISTANBUL – Turkey’s top court on Thursday turned down a plea to open the Hagia Sofia, an Istanbul landmark that is now a museum after serving as both a church and a mosque over its long history, for Muslim worshipping. Three days after Turkish President Recep Tayyip Erdogan recited an Islamic prayer to honor the Ottoman conqueror of Istanbul, Russian President Vladimir Putin extended a greeting to the Greek Orthodox Patriarch Bartholomew I.
Turkish President Recep Tayyip Erdoğan led an audience at what was billed as a classical Turkish art event in reciting a Quranic prayer at the Hagia Sophia on Saturday, dedicating it to “Istanbul’s conquerer,” Ottoman Sultan Mehmed the Conqueror. 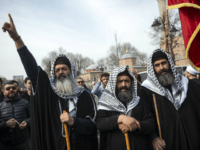 The Greek Foreign Ministry issued a statement on Thursday objecting to Muslim prayer services held at the Hagia Sophia in Istanbul, a televised event attended by Turkish officials. 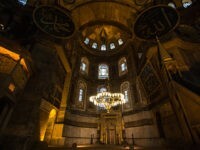 The first Muslim call to prayer in the post-Atatürk era from within the Hagia Sophia occurred last week on July 1. 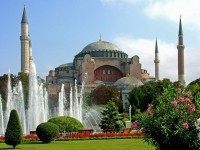 The Turkish government has sanctioned Quran recitations by a different senior Islamic cleric each day of the Muslim holy month of Ramadan so far this year at the secular Hagia Sophia Museum. 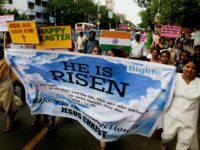 Christian-majority Greece has condemned the move as the “creeping Islamization of the building,” reports Agence France-Presse (AFP). The Turkish government is permitting the use of the Hagia Sophia, a Greek Orthodox basilica until the conquest of Constantinople in the Fifteenth Century, for Islamic Ramadan prayers throughout the month, a move Greek officials are decrying as “retrograde” and disrespectful. 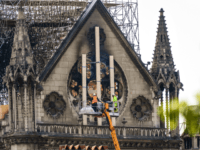 In his latest book, Christian Persecution in the Middle East: A 21st Century Tragedy, author George J. Marlin explores the fall of Christianity in its birthplace, documenting the suffering of those people who face death simply for being a Christian. 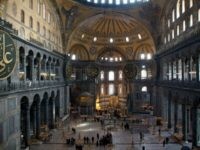 A large rally in Istanbul demanded the government change the historic Hagia Sophia church, a UNESCO World Heritage Site, into a mosque. 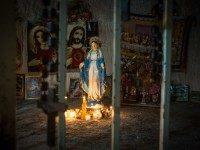 The Humanitarian Relief Foundation (İHH) led the rally through the Sultanahmet district.